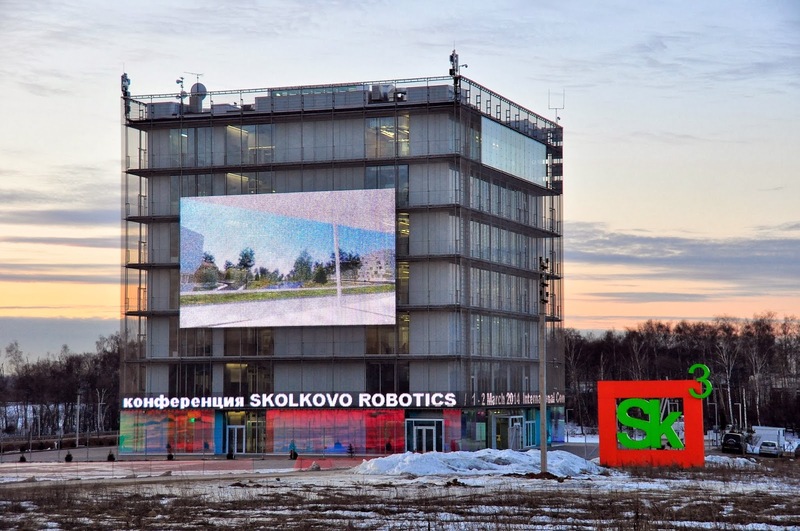 After laughing uncomfortably at the headline from The Moscow Times reporting about the recent Skolkovo Robotics Conference, I parsed through the wording and found the intended meaning. But that process … from shock and incongruity, to amusement, through multiple second thoughts and a bit of research, to an understanding of the headline … is the same process I went through as I participated in and spoke at the conference. My interpretation of that headline – removing any sense of political rhetoric1 – is that robots are getting cheaper and becoming more available to average consumers. This was one facet of the conference and exhibition, but not the main goal. I’ve been to Russia four times on political consulting and speaking trips but have never seen or participated in anything like the Skolkovo Robotics Conference. The host for the conference was the Skolkovo Technology Innovation Foundation, a partner in a newly chartered campus of buildings and people challenged with providing education, structure and inspiration for the incubation of Russian start-ups and spin-offs of all types and from all sources. It is government funded through 2020. MIT is collaborating with Skoltech for their Institute of Science and Technology, a private graduate research university. All are located in Skolkovo, a suburb of Moscow. The campus at present consists of the building in which the conference was held, named the Hypercube, another under construction, and a third laid out to be constructed. The grounds are massive – perhaps 3/4 mile long by 1/2 mile wide. Even during the winter weekend of the conference, tractors, cranes and earth movers were at work moving materials, rocks and dirt from place to place. 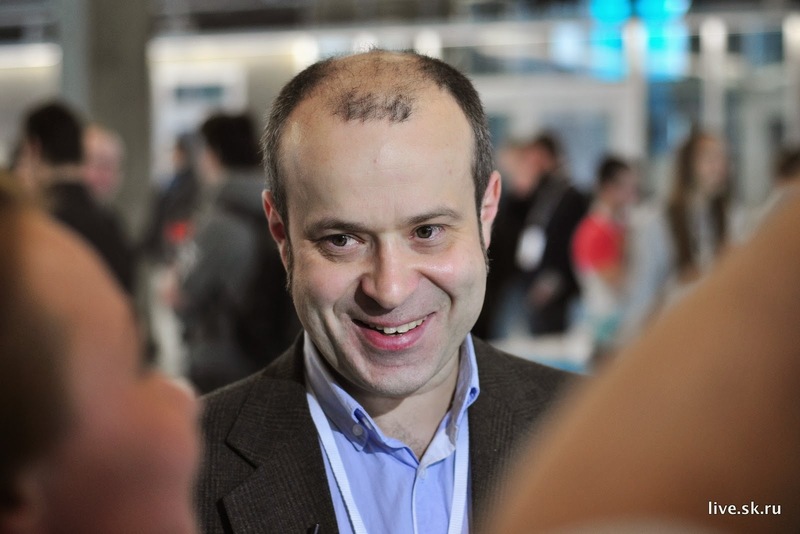 Albert Efimov is in charge of all Skolkovo robotic activities which includes the recent weekend robotics conference. His other activities include attempting to inspire and educate Russian politicians, academics, business people, investors and prospective entrepreneurs about what the various Skolkovo entities are offering. 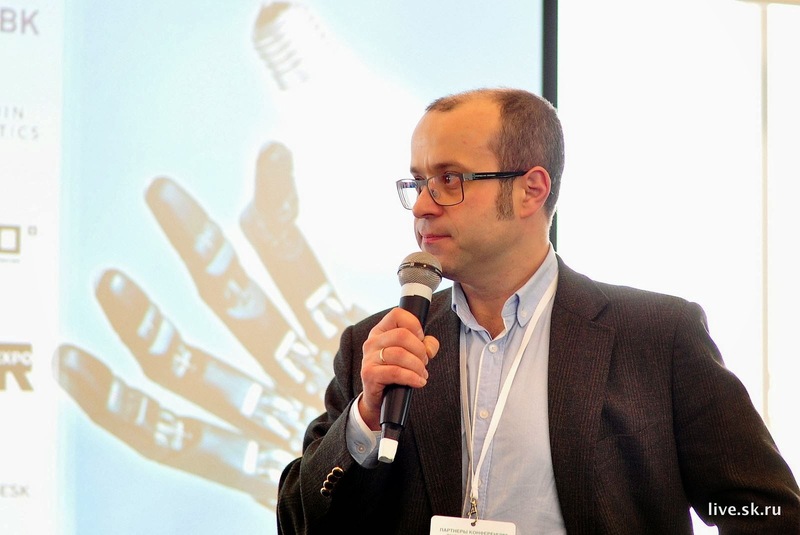 Also he is charged with educating about how robotics offers the prospect for significant competitive change for Russian businesses and profits to their investors and entrepreneurs. 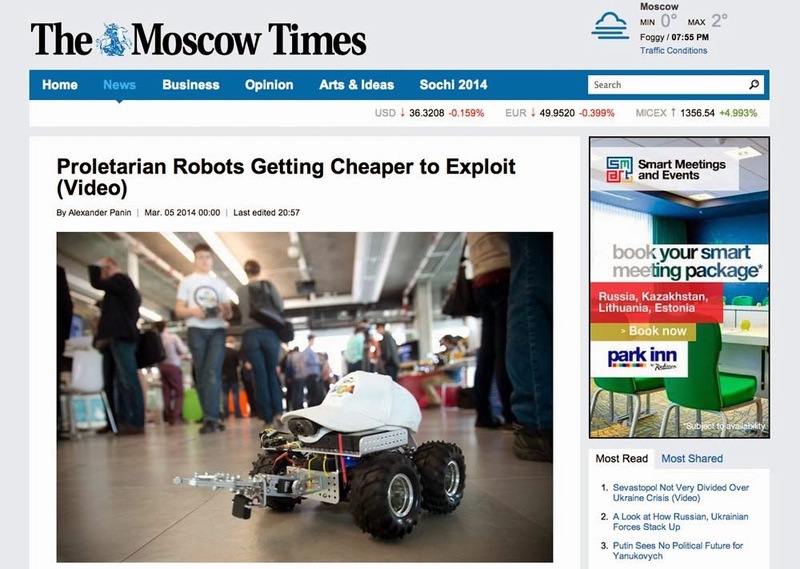 The event, as epitomized by The Moscow Times headline, contained all the confusion and mystery of Russia with some even more confusing facts: Russia doesn’t really have or use that many robots. The International Federation of Robotics (IFR) tabulated 232 robots were sold into Russia in 2010, down 13% from 2009. Of the 232, half were used for welding in the automotive and metalworking industries. When added to existing robots, the overall total stock of robots as of the end of 2010 in Russia was just 1,058. Very few service robots were produced in Russia and 100% of them were for the military, defense, rescue or space agencies. Russia is the 3rd lowest in robot density globally. The bottom five are Croatia, Iran, Russia, India and Ukraine. For reference purposes, the top five are Korea, Japan, Germany, Italy and Sweden. The US is 7th. Russia doesn’t presently have an academic system that supports and encourages entrepreneurship – which is why the Skolkovo project is so important. Academics don’t push for the publishing of papers. Nor do they encourage patenting or spin-offs. In the March 1st Moscow Times, in an interview with the owner of a large farming conglomerate, the owner was quoted as saying that he has a hard time finding qualified agricultural college graduates because many Russian universities lower their entrance qualifications to be able to fill quotas and get government funding. Consequently their graduates are under-educated and unqualified for technical positions. Albert is charged with inspiring Russians to imagine a future with robots and join with him at the Skolkovo Institute to make it happen. His official foundation title of Project Director of the Information Technology Cluster doesn’t include his unofficial function as Chief Robot Technician. Albert has his work cut out for him. I think he learned from this conference, as did I, that his next event needs a different set of presenters. His audiences need to meet and talk with successful robotic start-up CEO’s and CTO’s. Winners inspire others to be like them – to win. The conference was completely apolitical except for the absence of a few military participants – users of unmanned aerial vehicles and rescue operations. Other than that, there was no mention of the Ukraine situation. Sunday afternoon I went for a walk from my hotel to the Kremlin. A couple of exhibitors from the conference (they were from St. Petersburg) caught up with me and we walked together up to the ring road around the Kremlin. We saw a lot of busses and soldiers and crowds of what appeared to be peaceful protesters being cuffed and placed in the busses. We didn’t need to see the Kremlin anyway so we continued our walk in other directions. The next day the Moscow Times said that the government, in anticipation of a large demonstration, attempted to thwart it by setting up a perimeter far outside the Kremlin walls… this was what we walked into and away from. Later on Monday, as I was leaving Moscow, it began to snow. My taxi driver, a young wide-faced nice looking guy, said not to worry. We’d get to the airport with lots of time to spare. His English was poor but better than my Russian so it became silent in the car. After a little while he asked if I wanted to use the car’s wifi and I said sure. He gave me the password and I was live and working. Then he asked what I thought about the news about Ukraine. That morning’s The Moscow Times said that Russian troops had entered Crimea, a small portion of Ukraine. I said that I thought that occupying with armed forces was never a good solution; rather, diplomacy was always the best way to solve problems. We began to have problems understanding each other’s words so he took down his tablet from acting as his map and guidance systems and switched it to be able to speak, read and translate. And the rest of our conversation was done that way, in the snow, looking at the tablet, and, in my case, checking the traffic to make sure we didn’t get killed. He said that he had uncles and other relatives living in Crimea and that they have been harassed and persecuted in many ways for many years. Recently they were told they could no longer speak Russian – and I thought what if we said Hispanics couldn’t speak Spanish? I responded that, be that as it may, Putin was coming across in the media as almost Facist. He said that it was Yanukovych, the recently dethroned leader, who was the facist and that Putin was just protecting the rights of Russians in Crimea. I said that I wasn’t aware of the harassment of Russians but I had heard that Muslims were suffering. He said that our news was incomplete but that their news was particularly harsh about Obama and his military threats.